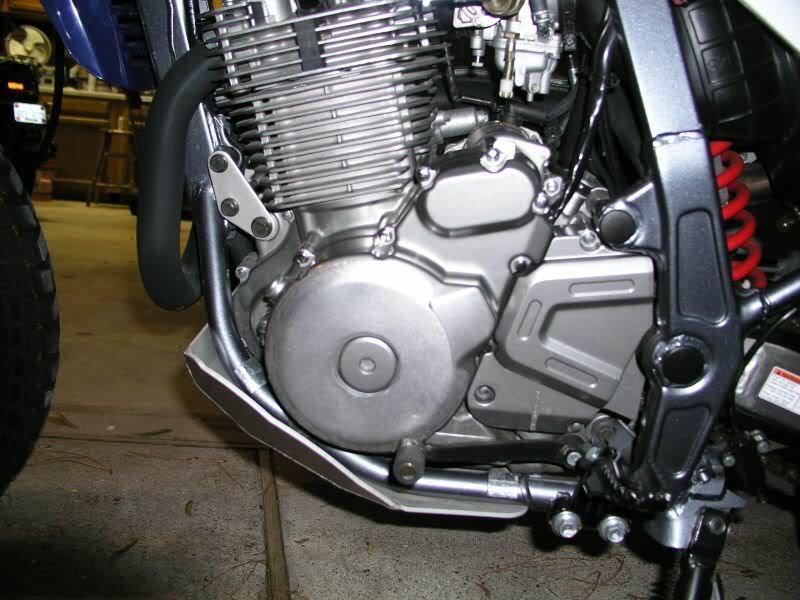 Since this is a DR650 thread does anyone have pictures of a dual star skid plate installed? I'm trying to find something that will offer some protection to the engine in the vent of a drop. I have a small skid plate but the shifter contacted the engine case once and I'm afraid it may cause some damage if it's dropped harder. Here's my DS skidplate. It offers good protection , but it's not going to stop the shifter from hitting the alt case cover. My did that from a drop in the driveway. I ended up with an Advanced cover that make the stock one much stronger. Now everybody regularly cleans and/or has replaced their 2nd air filter haven't they? Now eveybody regularly cleans and/or has replaced their 2nd air filter haven't they? theres a 2nd airfilter ? I reckon Davo's referring to the CV Carb breather which used to come poorly equiped from the factory (probably still does?). I didn't know about it on my first DR and as a result the carb slide got dusted and scored. After that I used some fine air filter type foam in the breather and gave it an oil with filter oil every now and then to be sure. I imagine it would only be an issue for riders who encounter a lot of dust. Is that the hose that is secured near the battery, near the top of the airbox? What do you think the best street only tire is? 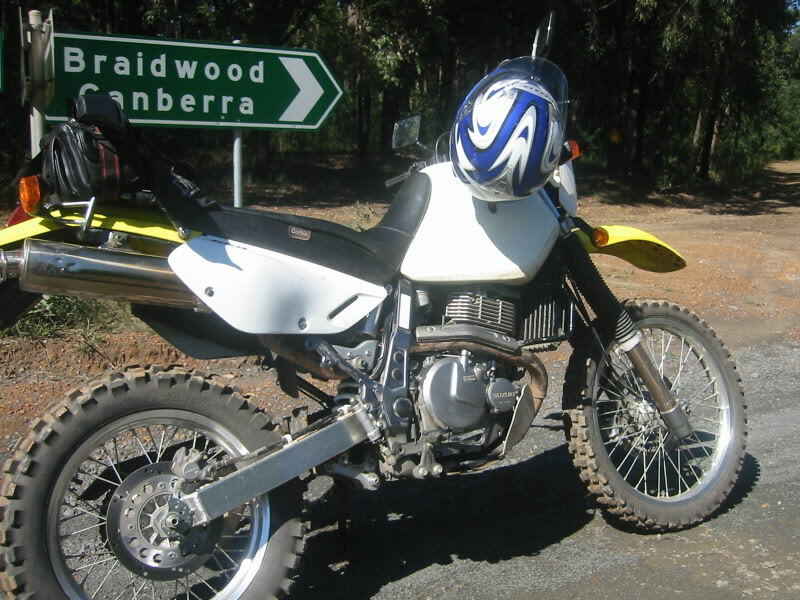 I am looking for something like a motard but with the standard 21" and 17" set up. What size should I go on the rear? 130, 140, 150? Yep a breather - my mechanic says that if you neglect it and run in dusty conditions it can lead to premature carby wear. I have replaced the original thin flimsy foam with thicker foam cut out of an old filter - I oil, clean and replace it at every air filter change. It's loosely held by two black plastic wheels which you need to pick out. I really like the michelin anakee. I heard it's made of the same compound as the pilot sport tires. It semed very sticky on the back. I haven't tried one on the front, but I'd like to try a set of them. It's not a pure street tire, but I'm not sure there's anything stickier in a 21" front. I rode these very hard on the street every day. I was amazed at what they could climb, off road, and how well they handled dry or wet pavement. I didn't drag hard parts but my boot edge did get worn down. I used the 140 80/18 on my KTM LC4. I'm assuming you meant the Anakee? What kind of off road surfaces did you try with it and how did it do? Try the Dunlop D607, it is very sticky for a 90/10 tire. 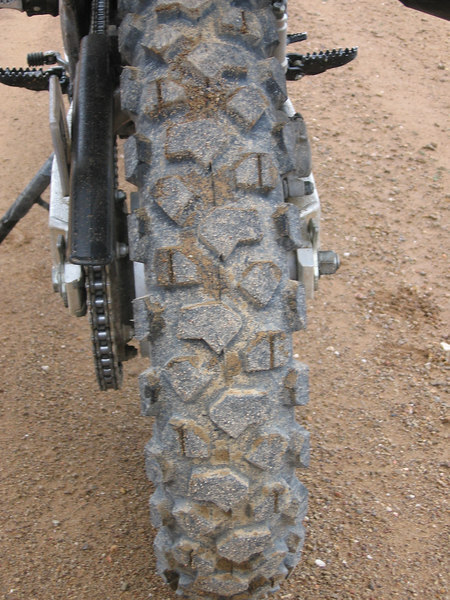 I read on a motard forum where a guy was using these tires on his sportsmans bike. or do you think this is too aggresive? I have a second set of wheels for street only. Do you think 140 is too big? I ran a set of Distanzias on my KLR, they are great street tires, good grip and they lasted 12K. Interesting thread so far. I just put a Kenda Trakmaster rear knobby on mine. Had a deathwing before. Now in the woods it's a completely different bike. Always had a front knob. Doofus, what size rear Distanzia did you run? These Maxxis melt like butter!